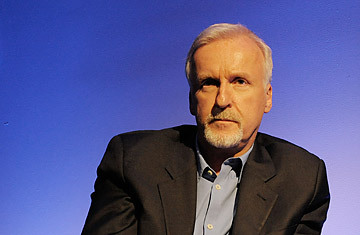 Can James Cameron  Or Anyone  Really Mine Asteroids? Time was, incredibly rich guys bought sports teams. It was fun, it was affordable (by incredibly rich guy standards, at least) and it kept them off the streets. But going to the Super Bowl isn't enough anymore. For today's uber-rich, it's going to space that counts. Space has been the goal of choice for the .001% for a while now. Amazon's Jeff Bezos; SpaceX's Elon Musk; Microsoft's Paul Allen; Virgin Airlines' Richard Branson and others have all jumped into the cosmic pool, looking for adventure and fortune either by sending tourists aloft or by building rockets to launch payloads for NASA, the Pentagon or private groups. Today, Planetary Resources Inc., a start-up backed by director and ocean explorer James Cameron and Google billionaires Peter Diamandis and Eric Anderson, joined the space club, convening an event at the Seattle Museum of Flight to announce that they were going into the improbable business of space mining  harvesting asteroids for iron, nickel, platinum, zinc, aluminum, gold, water and more. What's scarce on Earth is plentiful in space, and if you can get your hands on what's out there, you could add trillions of dollars to the global economy, according to Planetary Resources' own estimates. Better still, when your quarry is located millions of miles from Earth, you can do as much blasting and digging as you want without environmental regulations or noise ordinances cramping your style. "Scarcity is contextual and technology is an abundance-liberating force," said Anderson at the Seattle event. "We're going to bring the solar system within our economic sphere of influence." Nice sentiment, but can they do it? Mining asteroids is not a new idea. It was legendary Russian rocketeer Konstantin Tsiokolvsky who first articulated the concept in 1903, and it always made a natural kind of sense. It's not just that asteroids are so full of valuable stuff, it's that there are so many of them out there  millions in the main asteroid belt between Mars and Jupiter, some as large as small moons. There are perhaps a million more so-called near-Earth asteroids that have drifted from the belt and assumed stable solar orbits much closer to us. Already, says Anderson, there are 8,931 such nearby objects that have been documented and mapped. That makes them very tempting targets, especially because approaching and leaving an asteroid is a comparatively easy thing to do. Land on a body like the moon or Mars and you sink deep into a gravity well that requires powerful engines to escape. An asteroid's grip is a much lighter thing, meaning you need barely a breath of propellant to settle onto it or climb away. Better still, a load of freshly mined rocks and ore will weigh just a fraction of what they would on Earth; you can thus lift a hundred pounds of cargo with just a pound or so of propulsive muscle. And it's not as if visiting asteroids is something we've never done before. NASA's Dawn spacecraft is currently orbiting the asteroid Vesta in the main belt and will light out for the asteroid Ceres later this year. Planetary Resources is well-positioned to take advantage of all this. Its deep-pocketed investors  who also include Google co-founder Larry Page and Ross Perot Jr.  have kicked in about $50 billion. The company headquarters in Bellevue, Wash. already employs a team of 25 engineers, some of them NASA veterans like Christopher Lewicki, who worked at the Jet Propulsion Laboratory on NASA's Mars missions. And while the plan they have laid out is an ambitious one, it's also a patient one, with three generations of spacecraft planned: the first will be a series of orbiting telescopes to look for particularly mineral-rich asteroids; the second will be prospecting robots to sample the targets; and the third will be actual extractors. Diamandis envisions launching the first of the telescopes within 24 months. That initial step may be a realistic one, especially with private companies like Musk's SpaceX driving down the cost of launches and boosters. But everything that comes after that can be tricky. The biggest challenge in any mining mission comes at the end, when you're trying to get your cargo safely home. Spacecraft have brought extraterrestrial samples back to Earth before  but only in tiny quantities. The Soviet Union sent three robotic sample-return missions to the moon in the 1970s and hauled back just 326 g (.72 lbs) of material. NASA's Stardust probe brought comet samples back to Earth in 2006  but the entire load consisted of about 1 million microscopic specks, too small even to be weighed in any meaningful way. And yes, the Apollo missions brought back 838 lbs (380 kg) of moon rocks, but that was the result of multiple landings over the course of multiple years at a cost of $24 billion in 1960s money. Part of the reason it's so difficult to import raw material from space is that while things weigh little or nothing in a low- or zero-g environments, approaching Earth with a full cargo bay means slamming into the upper atmosphere at a speed of 25,000 mph (40,000 k/h) carrying a load of rocks that all at once have a 1-g weight. "If you're involved in an operation of that sort you're going to have to figure out a new and reliable way of maneuvering and manipulating large objects," says Henry Hertzfeld, professor of space policy at George Washington University. Even getting to that point assumes that you've invented the prospectors and extracting robots to do the mining in the first place and that you've achieved the economies of scale that will allow you to build the "swarms" of them that Anderson concedes would be necessary for the work he envisions. That  not to put too fine a point on things  can get pricey. Individual robot probes to Mars go for a few hundred million dollars each. The Dawn mission will top out at about $450 million when it's finally done with its work. At that rate you can burn through $50 billion in seed money awfully fast. Then, of course, there are the legal issues. The Outer Space Treaty of 1967 has a thing or two to say about claiming ownership of space assets and using them to your tactical or economic advantage  none of it very good. Even if you get around those hurdles, it's not even certain space mining would be as lucrative as the Planetary Resources folks imagine. We can always make use of practical, work-a-day metals like iron and nickel, but precious metals like gold and platinum are valuable mostly because they're rare. "From a simple business perspective this may not work," says Hertzfeld. "Have they analyzed what they would do to market prices if they brought back an asteroid full of platinum?" None of these problems mean that mining asteroids isn't ultimately a good idea. And none of them mean that a group like Planetary Resources isn't smart to get the thinking  and the industry  moving in the right direction. But it's a mistake to believe that that industry will move fast  press conferences and bold face names notwithstanding. Founding Google and making movies are very hard things to do. Traveling in space is much, much harder; if the folks at Planetary Resources don't fully appreciate that yet, they will soon.